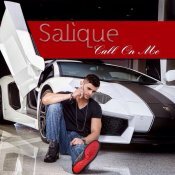 After the massive success of his previous single “Let Me In“, Salique returns with his brand new single entitled “Call On Me” produced by Vee! ARE YOU Salique? Contact us to get a featured artist profile page.